is the most space-saving of Hohner small machines. It allows quick and easy adjustment, operation and stapling, without having to forego the unique Hohner advantages: Stable design, flexibility and precision – accustomed Hohner quality for all applications. 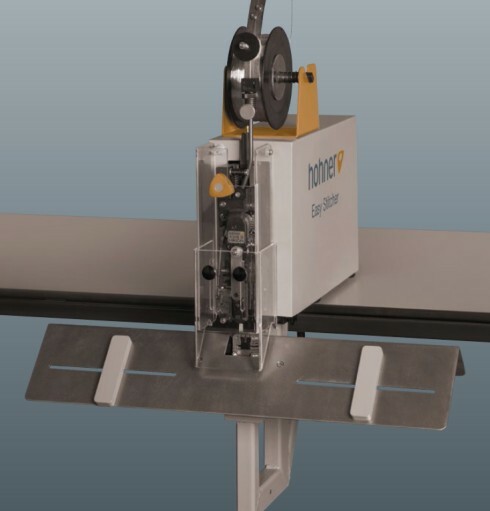 Saddle stapling of booklets or stapling of usage instructions, sealing of paper or plastic bags in the packaging process, attachment of labels and labels, or the creation of sample books – Easy Stitcher makes it possible and even allows the HKCN 43/6 stapling head as standard Also eyelet stitching (optional). Easy Stitcher – the must-have for all small printers and copyshops is the right choice for the smallest space and smallest budget. Hohner quality – now also in a small space.